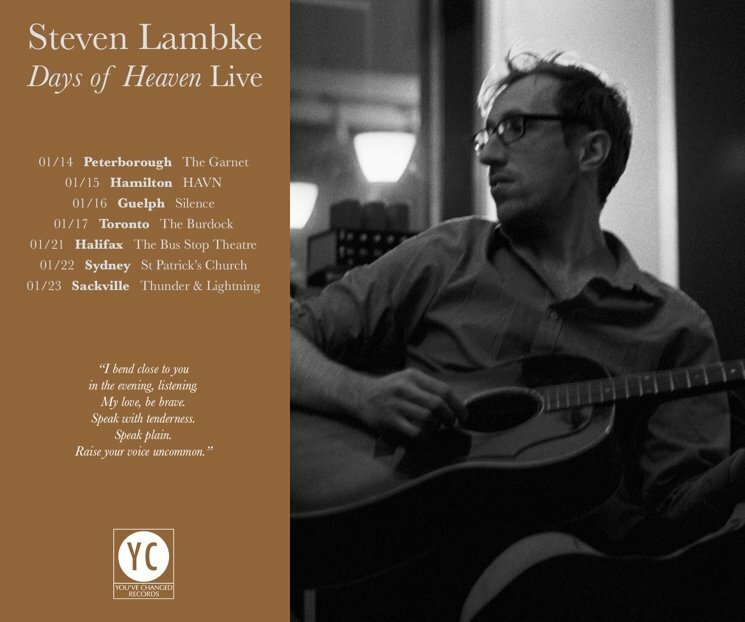 Constantines don't have any more reunion shows booked for the time being, but band member Steven Lambke (who sometimes goes by Baby Eagle) is going about promoting his recent solo album Days of Heaven by mapping out a Canadian tour for January. The outing is a relatively brief one, as it consists of seven Canadian shows in mid-January, all of them in the eastern part of the country. The tour begins in Ontario, and Lambke will then make his way into the Maritimes. This outing follows the You've Changed Records founder's prior Canadian tour dates with Daniel Romano. See Lambke's upcoming tour schedule down below, or in the promotional image above.